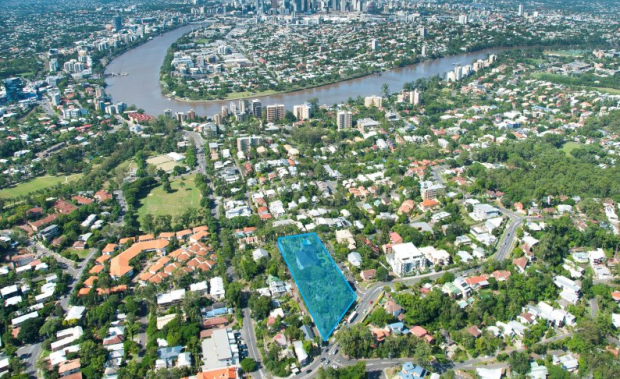 Developer Sunland Group (ASX:SDG) has acquired a 6,300 sqm site in the inner-Brisbane suburb of St Lucia for $11.125 million. The site at 276 Swan Road is earmarked for a boutique luxury housing development of 28 residences with an estimated end value of more than $45 million. The purchase is Sunland's third residential site acquisition in Brisbane, where the group relocated its national headquarters in 2014. Settlement is scheduled to occur in July 2015. Sunland's other Brisbane developments are the Abian Residential Tower at the entrance to the Botanic Gardens in the CBD, which is 95% sold and under construction and the proposed Grace on Coronation development in Toowong. Sunland Managing Director Sahba Abedian said the St Lucia acquisition will mark the group's entry into Brisbane's luxury residential housing market. "This acquisition demonstrates our continuing confidence in the Brisbane market and the capacity for boutique luxury housing developments to be delivered alongside our multi-storey portfolio," Mr Abedian said. Mr Abedian said the land parcel is located on a hilltop, with views to the Brisbane River and CBD. The Group anticipates it will be in a position to lodge a development application by September 2015.